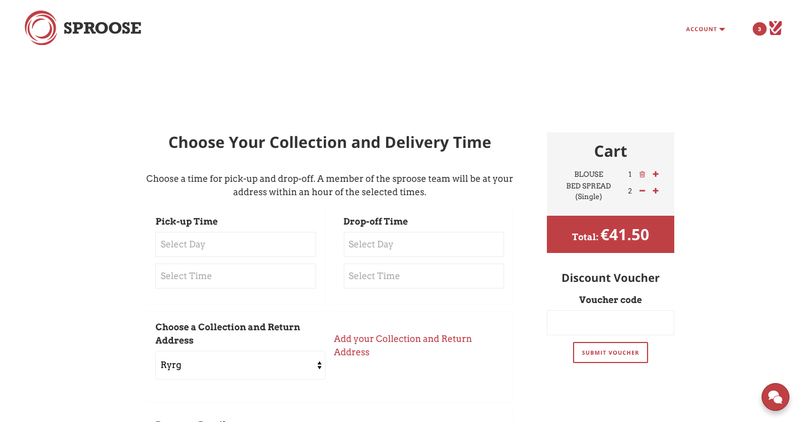 Sproose is a startup from Dublin who provide laundry and dry cleaning services on demand. They required web and mobile applications that allowed their first users to order services, schedule pickup and drop-off times, and make a payment. The Built team identified an opportunity for them to gain an advantage over competitors by establishing themselves as the first cross-platform service. They already had the best customer service in the market, and have all of the entrepreneurial hustle of our most successful clients. We built Sproose a web version and API using Ruby on Rails. The first prototype was built within two weeks, and allowed the Sproose team to take their frist orders. We then built Sproose mobile versions of their site using a combination of Ember and Cordova. These technologies allowed us to maintain one codebase for the Android and iOS platforms. The costs of mobile development for their first version was dramatically lower due to the Ember Cordova build. It allowed us to eliminate a lot of waste while building the first iterations of the app, leaving us with a strong API and mobile application scaffold to base their native builds off in the future. Their web application and API was hosted on Heroku. Heroku's platform allows the Sproose team to scale the application for it's first x,000 users without needing to spend money on additional developer time. It's also been possible for their team to take ownership of future deployments. We configured the team's laptops and for Ruby on Rails/Heroku/Github and our deployment workflow, and provided documentation for future development.